I’ve been getting asked more and more lately about solar power and pumping water. If you are looking for better, more sustainable cost efficient ways to irrigate your fields this may be your hot ticket. 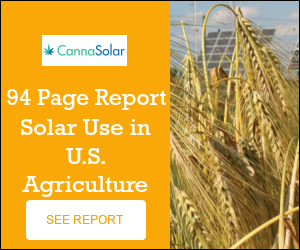 Solar powered water pumps for hemp or cannabis grows. You can check these guys out, Grundfos who offer products that can help you pump water if you’re far off the grid or in a remote power location.